New York imbibers will sip and sail tonight at the Village Voice's 2nd annual Holiday Spirits tasting event aboard The Hornblower Infinity Cruise Ship. 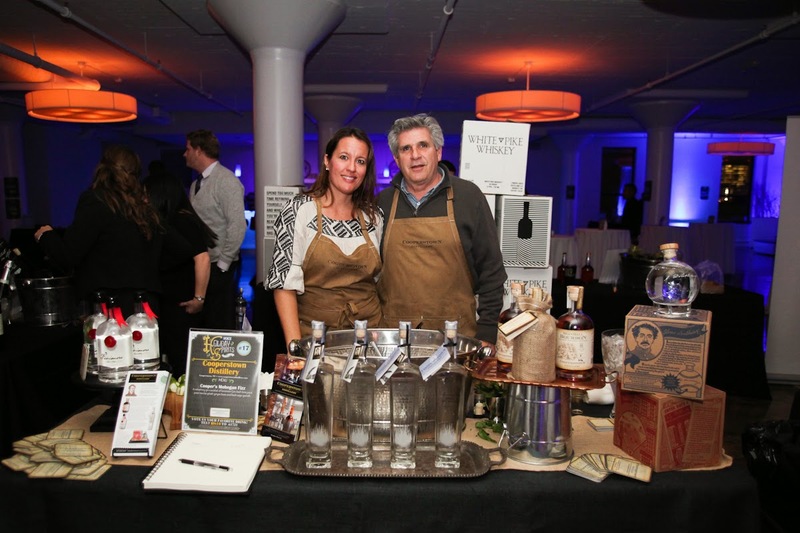 More than 30 distilleries and wineries— including Art in the Age Craft Spirits, Brooklyn Gin, Dulce Vida Organic Tequila, Ste. Michelle Wine Estates, Asahi Beer and Barrow's Intense— will get attendees into the holiday spirit (see what I did there?) with their latest offerings. Meanwhile, DJ Tim Martell will be spinning on the main and mid decks, and jazz quartet, the Blue Vipers of Brooklyn will perform sets throughout the evening in the Slow & Low Lounge. General admission tickets cost $50 get you unlimited sampling of the drinks on-board, a souvenir tasting glass, complimentary hors d'oeuvres, and an hour cruise around the Hudson. Spring for a VIP ticket ($75), and you'll also receive a VIP gift bag and access to the Captain's Lounge, which is on the top level of the ship and has its own private bar. Boarding begins at 5:30 PM, tonight, November 20th, and the Hornblower leaves Pier 40 at 7:30. Ready to rock the boat? Purchase tickets here.